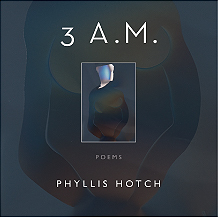 Author of A Little Book of Lies and No Longer Time, poet Phyllis Hotch offers stunning poems in her newest book, 3 A.M. A masterful poet, Hotch writes about the past, the present, her husband’s diagnosis of Alzheimer’s, and what the future offers. From the vigor of youth to the tribulations of aging, this poetic memoir reveals the ever-present role of time and memory in our lives. Thank you, Phyllis, for these brilliant and sensitive insights into life’s joys and tragedies. Your poems renew our faith in the human spark that lights our path. 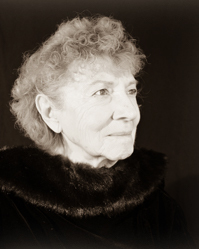 Phyllis Hotch was born in New York City and raised a family and taught English in Massachusetts before finding home in Taos, New Mexico. As Poetry Coordinator for Arts/Wayland, a creative arts center, she organized readings, seminars, and workshops, and she supervised competitions for publication of poetry manuscripts. Poets and manuscript judges she was privileged to work included Denise Levertov, Edward Hirsch, and Robin Becker. In Taos, Hotch served on the Board of Directors of SOMOS (Society of the Muse of the Southwest) and as president for 14 of the 22 years. She worked to bring PEN to New Mexico to be a voice for censored and imprisoned writers. In addition, she coordinated events in support of endangered and disappeared writers in Latin America; weekly readings of Poets for Peace in the months before the Iraq invasion; and two programs to bring attention to the murdered Women of Juarez. Hotch initiated programs, which SOMOS maintains, to offer partners for the homebound and a vibrant Youth Mentorship Program that has lasted for two decades. Winner of the 2014 New Mexico/Arizona Book Award in Poetry.